AMS will help you launch a dynamic Small business, eCommerce or mobile website that fits both your budget and your business goals. We are totally dedicated to helping small businesses succeed in the online marketplace. F rom small sites and mobile solutions, to powerful e-commerce marketing machines, our experienced development experts will work with you to create your Select site and show you how easily you can update the site yourself. AMS has integrated into a different Web design firm that truly cares about our clients' online success. Our expert designer work with you to build sites that market brand messages and attract new clients and customers. At AMS, we're not just building your website; we're building your Web presence — a presence that thrives off of unmatched, best of class design, custom social media integration and advanced ecommerce & content support. AMS' content management tools are easy to use, and we know how to provide you with the tools you need to meet your needs while saving you time. START BUILDING THE WEB PRESENCE YOU NEED NOW WITH AMS! 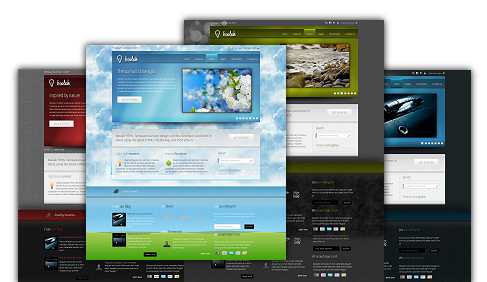 Have a small business or e-commerce site in need of a Web makeover? Do you need a new small business site or online store? Work with our award-winning Web AMS design team to build your perfect site, we offer small and medium business and eCommerce sites. A rapidly growing trend in Web development, our responsive web design allows your site to be easily seen on every platform. Signup for your Website Now! Just how big of a game changer is mobile? Really, really big according to a new studies from iAcquire and SurveyMonkey. The research exposed several interesting insights about how consumers search on their mobile devices, what they actually do when searching on mobile (their specific behaviors), and some standard demographic information. What is most interesting from the report however is the data that relates to the effectiveness of mobile searches. According to the study, 70 percent of mobile searches lead to action on websites within one hour. - 40% of people will choose another result if it is not mobile friendly. - 40% of searches are conducted while users are watching television. - 45% of users 18-29 use mobile search daily. Don't miss out on the opportunity to reach your customers on the go. We offer spectacular mobile designs. Get Mobile Now with AMS! Signup for your Mobile site Now!